Israeli artist Sivan Sternbach shares her story of persistence, rejection and an unshakeable belief in herself. What’s the secrets to success? Persistence, confidence and a belief in yourself. At least that’s what entrepreneur and artist Sivan Sternbach says. And here is Sternbach's proof: Her work is hanging in the windows of the iconic luxury department store Bergdorf Goodman on Fifth Ave in New York City. After being inspired by the documentary film, Scatter My Ashes at Bergdorf’s, the Israeli artist and former pastry chef knew what she wanted: her work decorating the windows of Fifth Ave’s Bergdorf Goodman. But how was she going to make this far-off dream come true? She started with an email. After firing off an email to Bergdorf’s senior director for visual presentation, David Hoey, who was featured in the film, Sternbach received a response in less than 48 hours. However, once Hoey discovered that Sternbach was not located in the U.S., the project seemed too difficult to pursue and he stopped responding to her emails. However, that didn’t stop Sternbach. For nearly an entire year, the artist sent email after email to Hoey in hopes of changing his mind. She knew once he saw her work, which are decorative ceramic balloons, he would be convinced. “I had a feeling,” Sternbach told Entrepreneur. 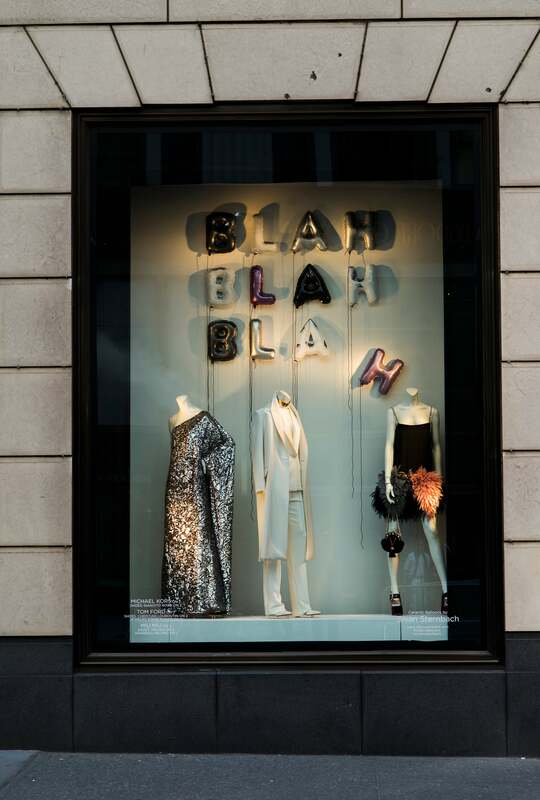 "It was so easy for me to imagine my name written all over David's windows." Finally, after a year without any response, Sternbach did not let herself get discouraged and instead did the only thing left she could think of: mail him a sample of her work. “That was the last thing I could do -- send him something he [could] touch, see and feel,” Sternbach says. That was the magic step. 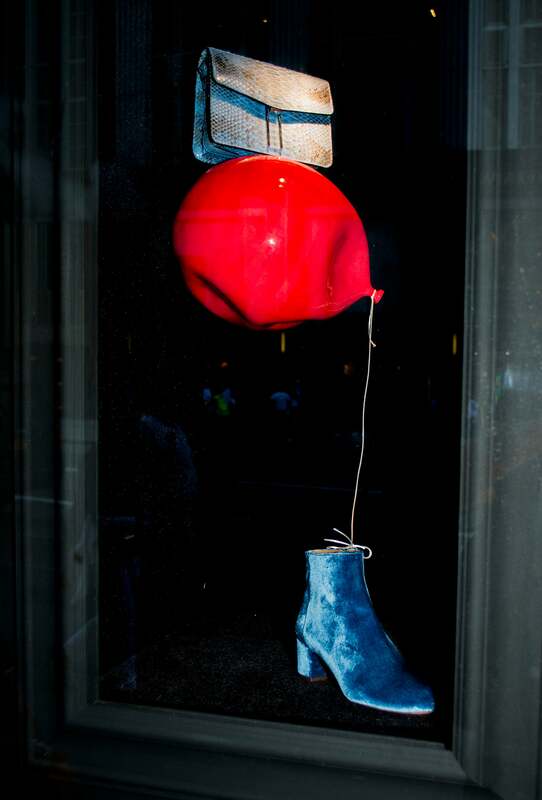 Shortly after sending Hoey her work, she sat next to him in New York discussing and designing Bergdorf’s windows. 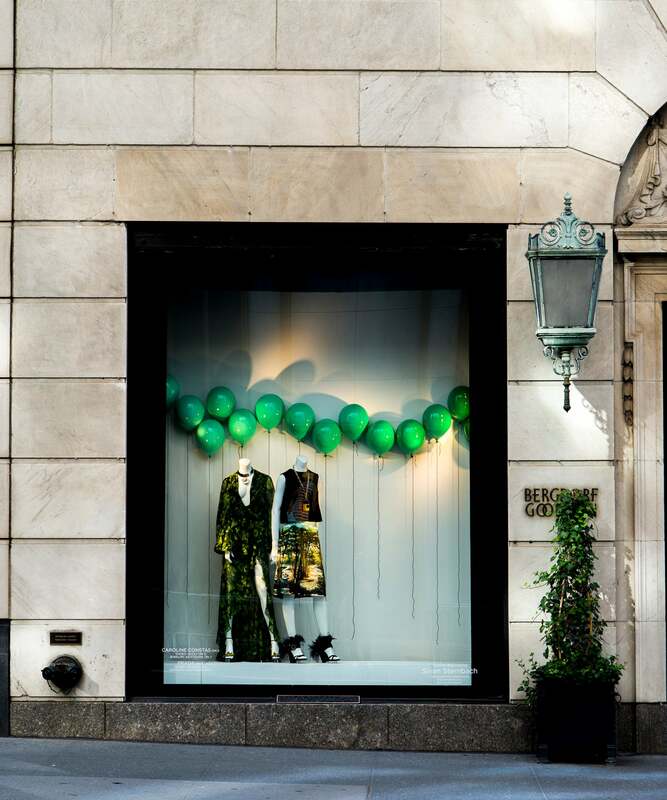 Now, more than 100 of Sternbach’s ceramic balloons in different shapes and colors are hanging in the windows of Bergdorf. While passers-by might only be consumed by the beautiful art installed, little do they know the story behind how they got there. From self-belief to listening to your gut to dealing with rejection -- there’s a lot to learn from Sternbach’s entrepreneurial story. We spoke with the artist to learn how she overcame rejection to pursue her dreams. One of the major things most entrepreneurs struggle with is rejection, or rather the fear of rejection. What capabilities drove you to keep going, keep sending emails and finally sending your work? I think in today's world, we're actually hiding behind [our] computers. We're not really knocking on someone's door. To me, it's so much easier -- you just send the mail. The worst thing is you won't get an answer back, [or] someone won't want to work with you. So what? Somebody else [will]. I also think that you have this gut feeling if [something] is for you -- whatever you're reaching out for, you have a good clue or a good feeling [a] project has your name on it. You have a feeling if it's yours or not. I had a feeling. It was so easy for me to imagine my name written all over David's windows. How important are confidence and self-belief? The most important thing is to know that what you're doing is the best and that you stand behind it. If you know you're doing the right thing or you're the best at what you're doing, it's OK to get refused. It shouldn't matter. Feeling discouraged is the choice that you feel. I don't think anything could [have] discouraged me from the first minute I sold my first balloon. And I had rejections -- many rejections. I had other people [starting] to make balloons but I was totally confident that mine [were] the prettiest [and] people wanted my balloons. It will all go back to self-worth -- you have to be in a good place, you have to have confidence to try and sell yourself. I'm actually selling a part of me. What's a final tip you have for people to not get discouraged and continue striving towards their goals? I was amazed how when someone says “no” to her, it motivates her. And when someone says “no” to me, it puts me in bed. [So] once I started with the balloons, I said [to myself], “I'm going to make believe that I'm [my friend] Merav." This is the best tip I can give -- pretend. Pretend you're someone else when [you] send an email to [your] David. Pretend it's not you. Fake it 'til you make it.